Although many people struggle to reach a healthy weight, it's possible that weight loss will continue even after you achieve your weight goal. Your level of physical activity and your eating habits play a major role in how much weight you lose and when your body weight levels off. However, if you stop losing weight, it's not necessarily a sign that you've reached a good weight for you. 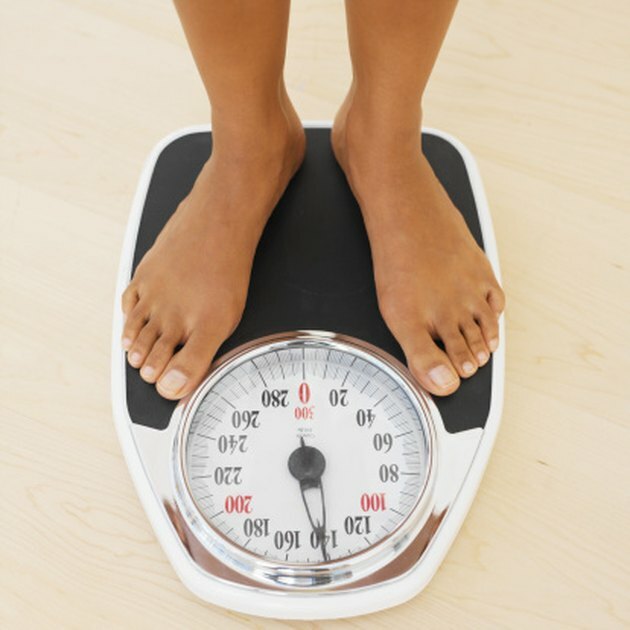 Identify a healthy weight range early in your weight loss program. Choose a weight that's in the normal body mass index range for your height. When you know your goal weight, you'll be better equipped to recognize your progress, as well as to know when you've lost enough weight. Once you reach your target weight, you can re-asses your goals and decide if you need to continue losing. Avoid setting a weight goal below the normal range for your height. As long as you maintain a negative calorie balance, you'll continue to lose weight, regardless of whether you've reached your goal weight or not. However, your weight will likely plateau at some point, even if you continue the same exercise and eating plan that helped you lose weight. This happens because you need fewer calories to maintain a lower body weight. In order to continue losing weight in this case, you need to adjust your diet and exercise regimen accordingly. Otherwise, you can choose to maintain your weight by continuing your current eating and workout program. If you continue losing weight after you've reached your goal, you need to increase your caloric intake until you find caloric balance. What you're aiming for is to burn roughly the same number of calories that you consume. See if increasing your daily caloric intake by 200 calories helps your weight level off. If not, continue making adjustments until you find the right calorie target for weight maintenance. Both your diet and your activity level contribute to weight management. To ensure healthy weight loss, plan well-balanced menus that include fruits, vegetables, whole grains and lean protein sources. Build an exercise program that includes cardio, weight training and flexibility exercises and aim to work out at least five days per week. Base your exercise routine on your current fitness level and gradually add time and intensity to your workouts. Check with your doctor before changing your diet and activity regimen if you have a history of heart problems.